Red Redemption is going to be better than Black Ops 4. Most people would say that Call Of Duty is better than Rock star (made Red Dead Redemption), but in my eyes I don’t think Call of Duty is better. Call of Duty: Black Ops 4 is a multiplayer first-person shooter video game developed by Treyarch and published by Activision. It was released worldwide on October 12, 2018. Call of Duty has a game come out every year and every year the game dies out in the first month. With Call of Duty Black Ops 4 it is different; this video game has been really amazing, I have played it and the game feels smoother than any other Call Of Duty game. This game is going to beat the last game by far. 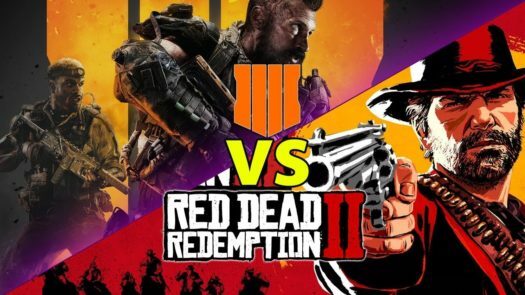 The game I think will destroy Black ops 4 is Red Dead Redemption 2. Red Dead Redemption 2 is a Western-themed action-adventure video game developed and published by Rock-Star Games. The game is a prequel to the 2010 game Red Dead Redemption, and will be the third entry in the Red Dead series. This game will beat Call Of Duty because Rock-Star makes their games amazing. Rock-Star makes a game every 4 years, so that gives them time to build their game. One reason I think Red Dead Redemption is going to beat Call Of Duty is that Rock-Star gives out free downloadable content for the rest of the year and more. Call Of Duty has the Black Ops Pass which you have to pay 50 dollars to get the downloadable content for the rest of the year. Fans hated this for years, so most of them are playing more Rock-Star games rather than Call Of Duty.